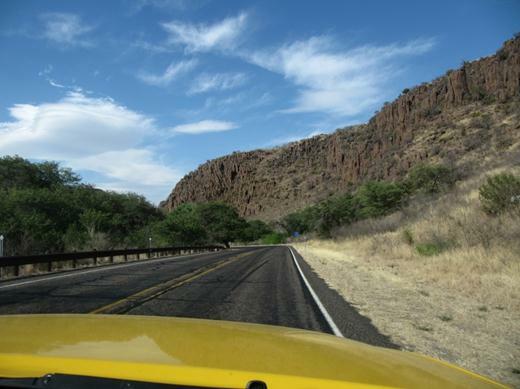 While at Big Bend National Park we decided that our next stop was Davis Mountains State Park – that way we could visit Fort Davis and the McDonald Observatory from one location. We filled up on gas and hit the road. 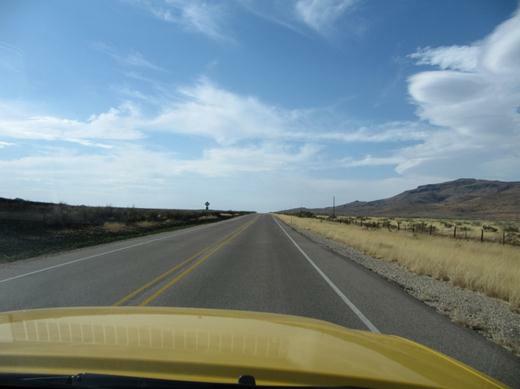 For quite a while it was just us on the lonely highway traveling across the desert plains. Suddenly there was a thunderous screech overhead. 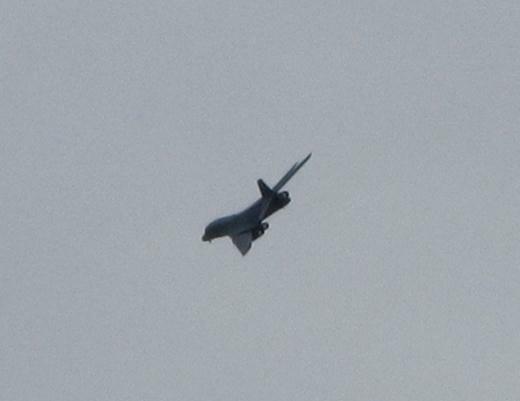 As we search the sky we see this B1 bomber banking left after buzzing us over the highway. We’re guessing the yellow truck and white trailer made an irresistible target for training manoeuvres. It was quite a surprise! Being so close to the Mexico border we saw several border patrol vehicles. 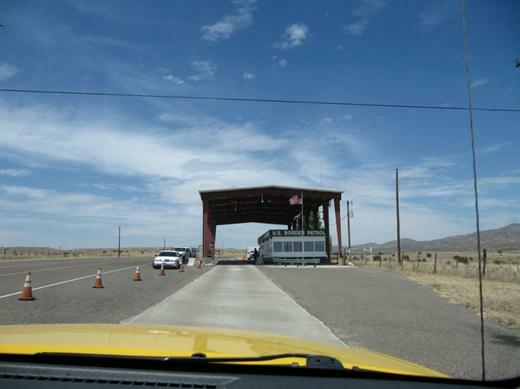 Coming out of major border cities or a border park like Big Bend it’s not uncommon to be stopped for immigration inspection. 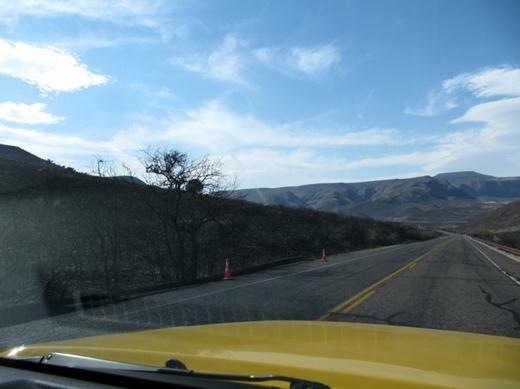 In this picture we pull into the border patrol station just outside Big Bend. We made it through the inspection and drove on through the city of Alpine. This ‘frontier’ city has lots of neat western looking buildings. 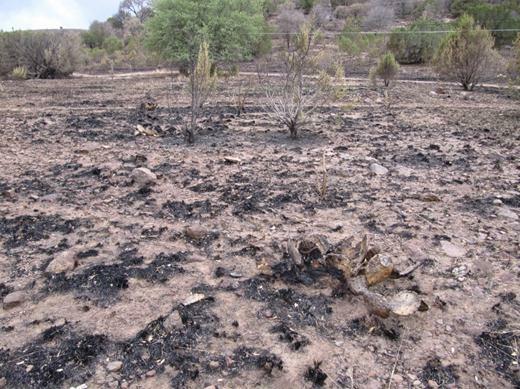 As we drove closer to Davis Mountain State Park we saw evidence of wild fire damage. 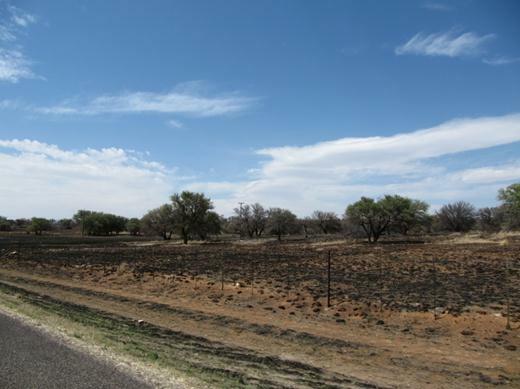 A quick call to the park and we discovered that it was closed – a 300,000+ acre wildfire had blown through recently. The damage was quite obvious. Looks like trees were mostly saved but all the brush was gone. 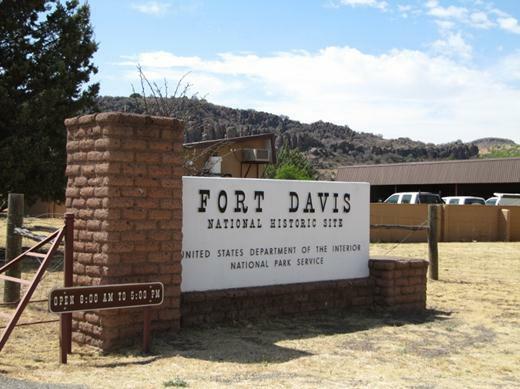 Fort Davis was still open so we popped by there to check it out. 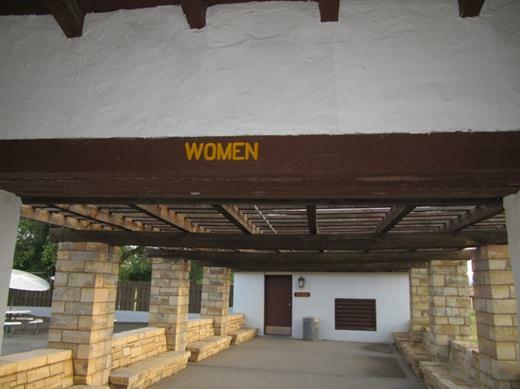 This was one of several forts established to keep the road between San Antonio, TX and California open – staving off Apache Indians, horse rustlers and all sorts of other riff raff. 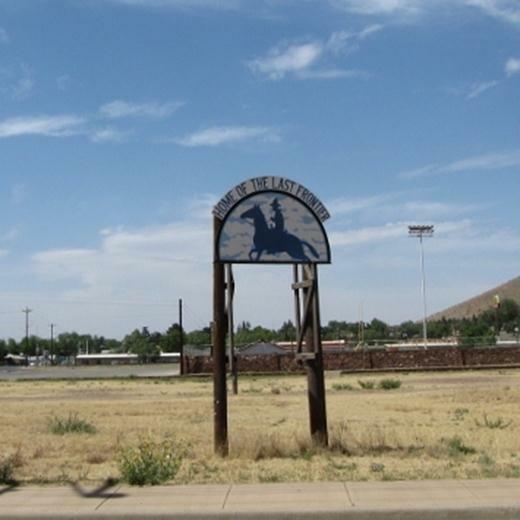 The Union army even tested using camels instead of horses here. Makes sense – after all, it’s in the desert. This is not the typical Fort that we’re used to – no thick walls surrounding it, no canons protecting it. This Fort is more like an outpost with several buildings surrounding a main parade ground where the flag is the center piece. 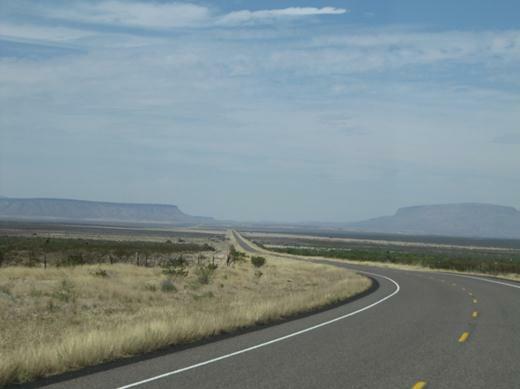 We hit the road again, this time aiming for Balmorhea Springs State Park – it’s still open and not affected by fire. Starting to see hills again! Even the guard rails were burned out in some locations. 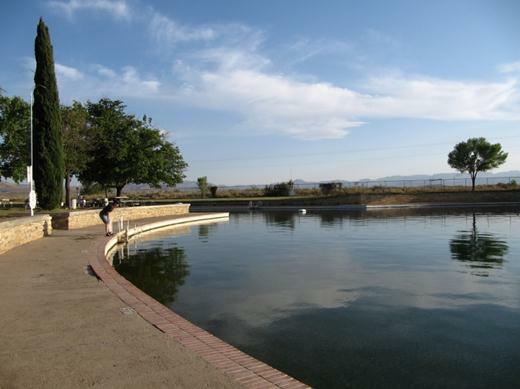 Balmorhea Spring was beautiful – an oasis indeed. 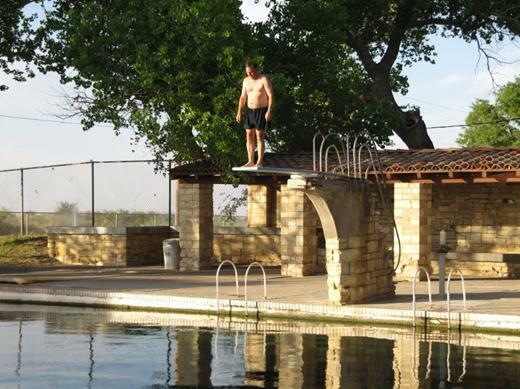 The water is crystal clear up to a depth of 25 feet. Can you believe that in the middle of this desert is a spring where scuba divers are frequently seen?!? 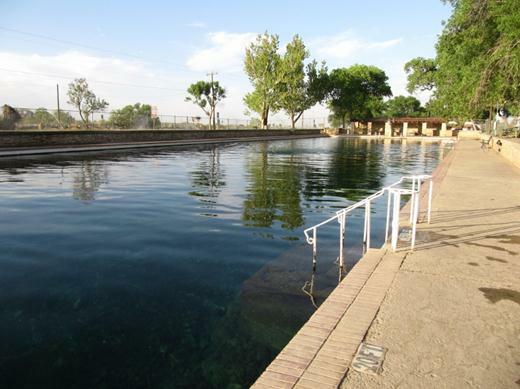 The picture above shows one side of the spring, which is more like a little pond than a pool. It has a natural rock bottom, some small aquatic plants, fish and even turtles!! They say it’s one of the largest spring pools in the world. 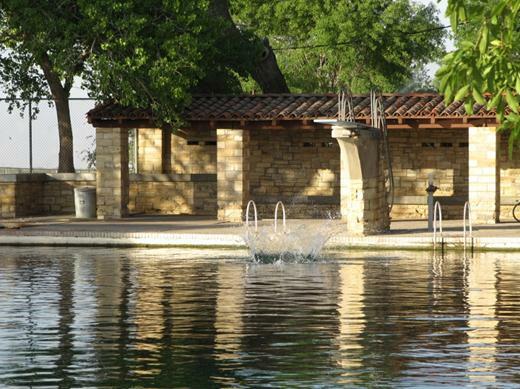 It holds 3.5 million gallons of spring water. The waters are 20-23°C (72-76°F) all year round. 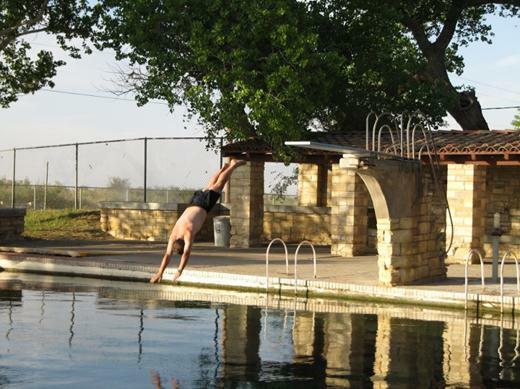 Jason prepares to dive in. The park had its share of wildlife too. Near the women’s change room Marianna heard something similar to the bridge in Austin (where the bat colony was). 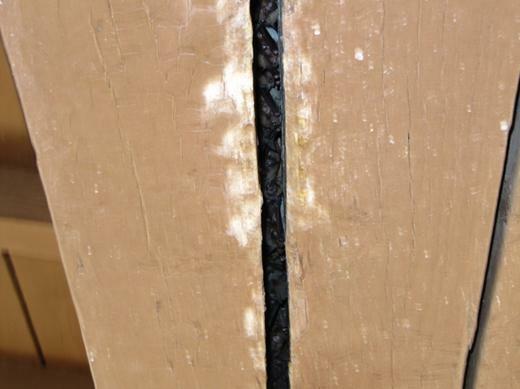 Look at what was hiding in the ‘women’ sign…Bats! 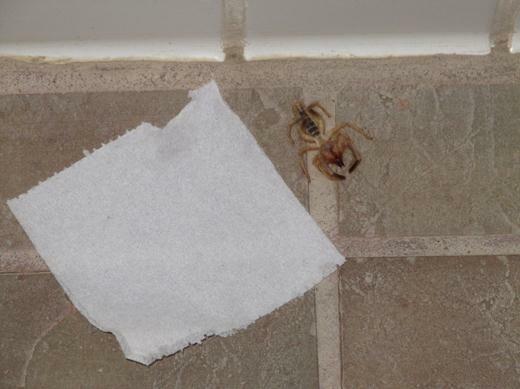 And, found this little scorpion looking thing in the bathroom. 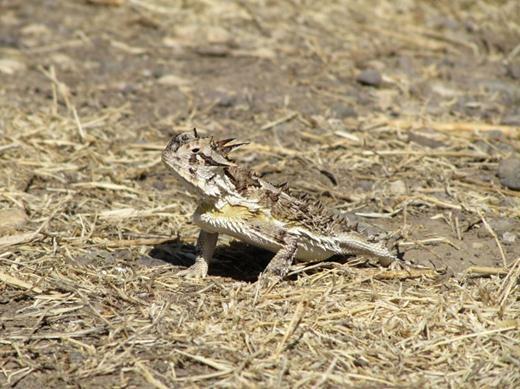 We found this Texas Horned Lizard just down the way from our camp site. But the prize goes to this 4 foot Diamond Back Rattlesnake which we found feet from our trailer. Marianna almost steps on it coming back from the bathroom. Jason was miffed that he missed the chance to see it. 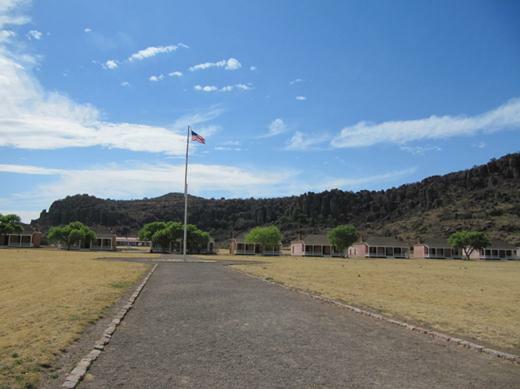 While we were at Balmorhea, Davis Mountain State Park re-opened. We decided to take a tour to see how bad the fire damage was. Many of the buildings looked fine. 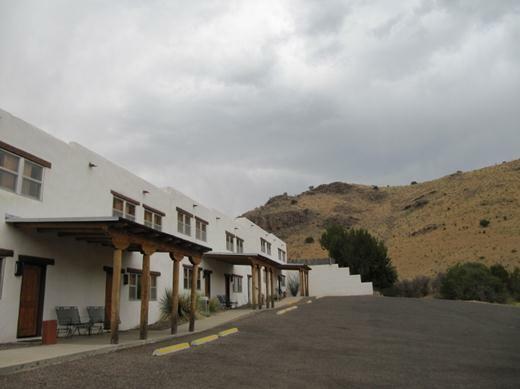 The picture above shows the Indian Lodge with its untouched hills. 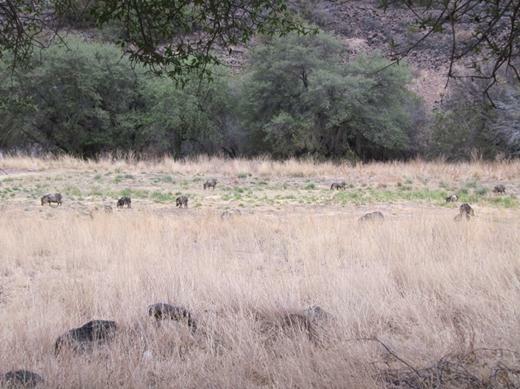 That meant wildlife was concentrated in the areas that were untouched. 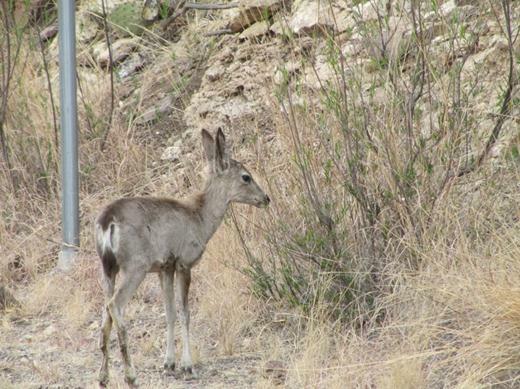 This baby deer eats grasses by the roadside. Normally deer run off before it’s possible to get a good picture, but right now all these creatures can think of is getting food in this narrow strip of land that hasn’t burned. 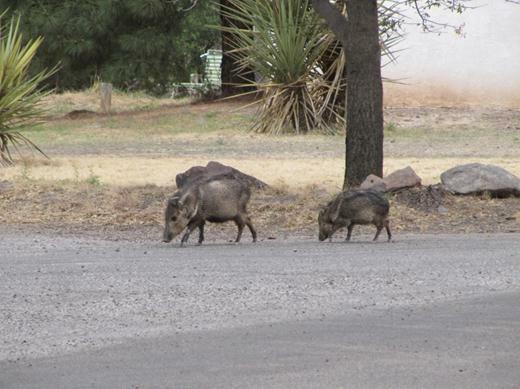 Same with the Javelina (pronounced have-a-lean-a) – a pig like creature found throughout Texas – were very focused on getting food. These creatures are typically hard to spot so it was a bit of a surprise to see them let alone have the opportunity to take a picture. …even more of a surprise to see a field full of them. There are at least 11 in this picture alone. We half-expected a starving mountain lion to jump out and nab one. 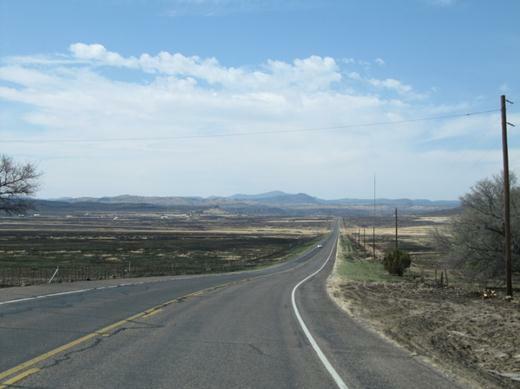 From Balmorhea we took a day trip to McDonald Observatory – it was amazing! We took a tour of the facilities. 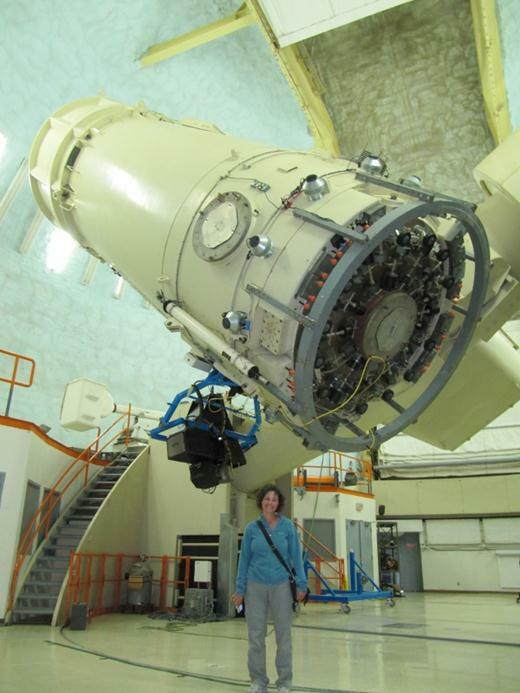 In this pic Marianna stands near one of the three largest telescopes in the facility. Wondering why Marianna is bundled up in the desert? 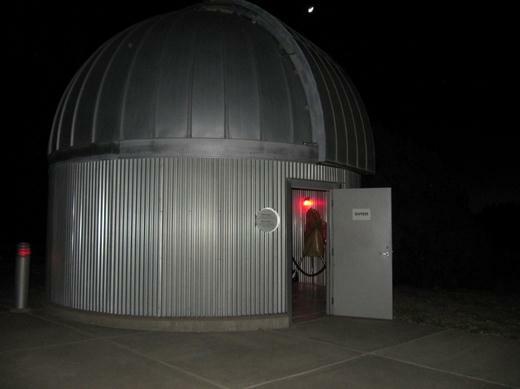 The room is kept at the expected night-time temperatures so that when the roof is opened the telescope remains clear. The telescope in here is currently the fifth largest in the world. That night we went to the star gazing party. 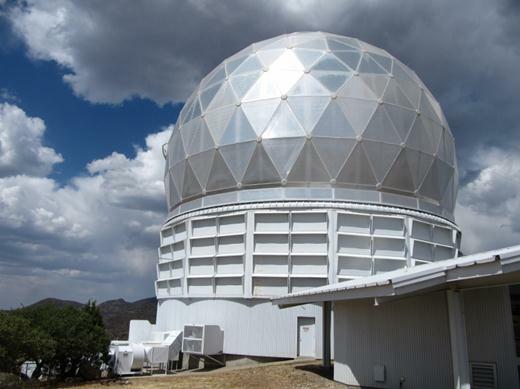 8 telescopes were set up – ranging in size up to 22 inches. From them we observed Saturn with its rings and 4 of its moons, 4 different galaxies, several star clusters and of course, the moon. It was amazing! Some genuinely nice and useful information on this web site, also I think the style has got wonderful features.